I’ve come across two different two tone pieces in the past month or so… and think they’re totally going to be the new thing. It’s really a lovely look for a guest room, for a guy’s room, or if you just want to make a statement. Best of all? It’s a totally easy update for rehabbers at any level! 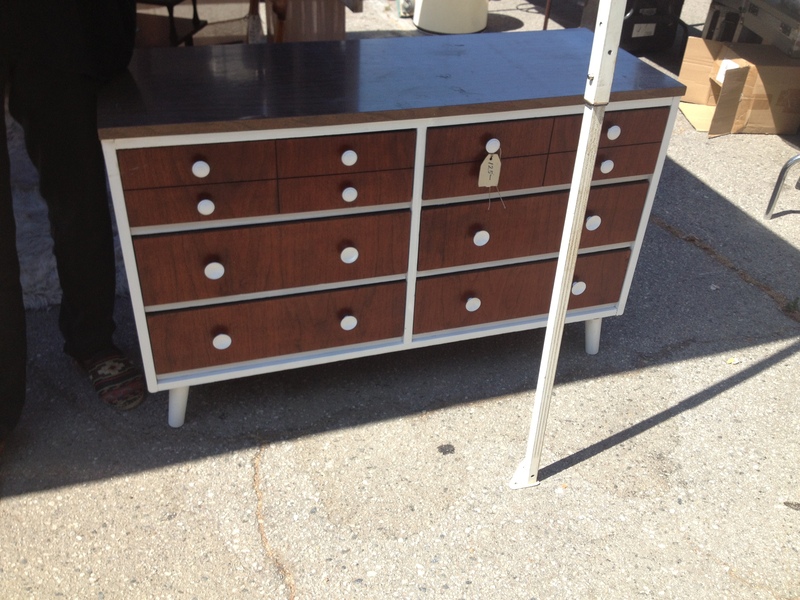 Love the legs and the shape of this dresser at the Fairfax Flea Market. At $125, it’s kind of a lot. I mean, a good rehabber could get something like this at a yard sale or Goodwill and paint it for less than half the price. Plus, the top of this one was a scratched up mess. Forget about rehabbing an entire piece, just paint the trim, change the knobs, and you’re good to go! For a piece that’s more plain or doesn’t have trim, you can create the look with painter’s tape. 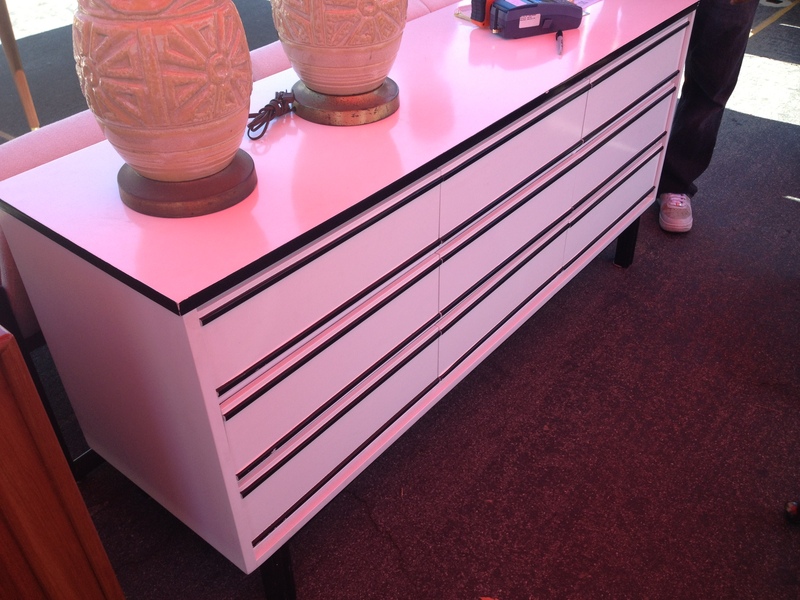 This dresser (from the Rosebowl Flea Market) was black and white. The lighting and my bad photography skills make it look pink, which wouldn’t be all that bad, if you ask me. I think it would be AWESOME if you painted the black parts navy and gave it a nautical flare. Wait and see, this look will be EVERYWHERE by next year. It’s a simple (and inexpensive!) way to update a classic, make a statement, and give your room some pizzaz.